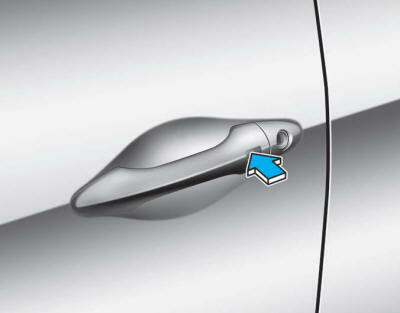 Your HYUNDAI uses a Smart Key, which you can use to lock or unlock a door (and tailgate) and even start the engine. 2. 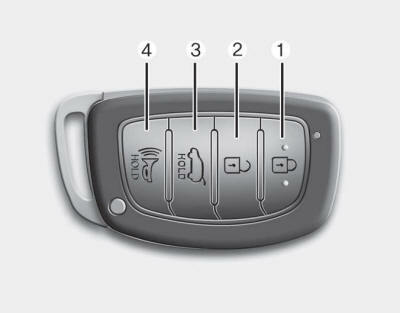 Either press the tailgate handle button or press the Tailgate Unlock button (3) on the smart key for more than one second. 3. The hazard warning lights will blink two times. After unlocking the tailgate, the tailgate will lock automatically after 30 seconds unless the tailgate is opened. You can start the engine without inserting the key. Keep the smart key away from water or any liquid. If the smart key is inoperative due to exposure to water or other liquids, it will not be covered by your manufacturer’s vehicle warranty. Avoid dropping or throwing the smart key. Protect the smart key from extreme temperatures. 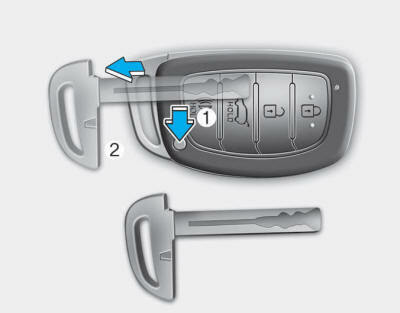 A maximum of two smart keys can be registered to a single vehicle. If you happen to lose your smart key, you should immediately take the vehicle and remaining key to your authorized HYUNDAI dealer or tow the vehicle, if necessary.